One of my favourite hobbies is writing software, almost related with Amateur Radio. I started programming in 1985 when I was a student. Starting with Borland Turbo Pascal and C++ now C# is my preferred programming language. Since I am not a skilled software engineer most of my software is not intended for public use. 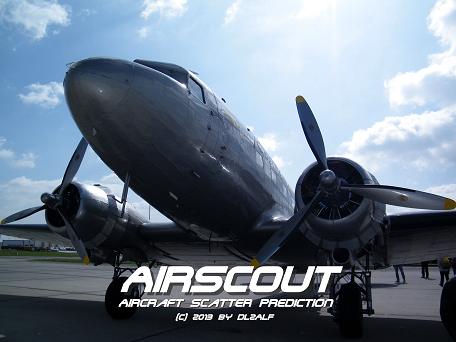 But the most popular software is AirScout aircraft scatter prediction software. Click on the picture to go to the homepage.